DC All-girls Chess Camp will be on Mar 11, 2018. ​First out-of-state camp will be held at Jan 21, 2018 in Long Island. 2017 NJ camp will be held on Nov 12th, 2017, at the Windsor Athletic Club. ﻿ChessKid.com﻿ will be sponsoring 1-year of Gold membership for every girl at the 2017 NJ camp. Currently looking into the prospect of expanding into other states, feel free to contact me if interested! The camp was fully booked in 36 hours, and 48 girls showed up. From as early as 2014 (as shown by this article), people have been trying to tackle the problem of a lack in female participation, especially in higher levels, in the game of chess. While this is not a problem that can be immediately solved as shown by the fact that today it is still a one of the larger issues looming in the chess society, we can still take certain steps to make sure that this problem will be solved as soon as possible. 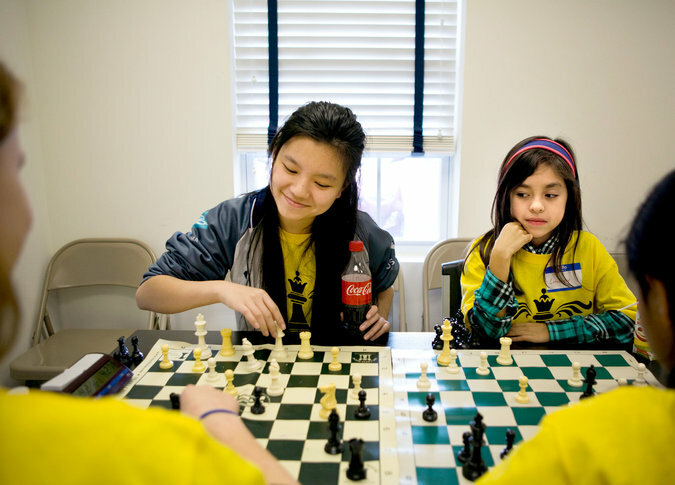 The gender gap in chess is huge. But we can change that. Overall, 60% of the members are under 20 and 40% are over 20. Interestingly, we see that 85% of female players are under 20. 68% of our female players are under 12, and girls are 20% of the under 12 demographic overall. The percentage of females in the older category drops off quickly and among adults - in the 25-64 age range, which is 30% of our members, only 4.26% are females. In order to help reduce the gender cap, we need everyone's help. We need to work together to at least increase the population of female players. With a bigger base, we will already have many good female players, and even few great female players. Most likely, it will take years of work to ultimately reach where we want to go. But if we persist, we can do it. Remember: Only one out of the top 100 players in the world is female.